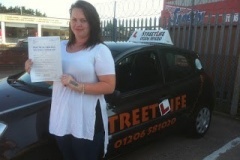 Our mission statement is “Learn to drive with confidence” and that is one thing StreetLife Driving School will aim to teach you. 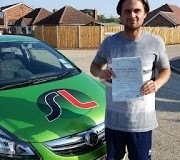 We are a successful friendly run business with an outstanding reputation, in both learner drivers and instructor training. 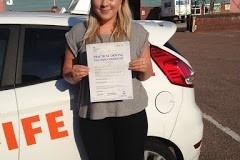 All instructors are DBS checked (fomerly CRB), and we operate guaranteed pass courses. 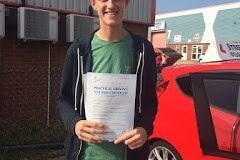 We are ever expanding and currently cover many areas and our driving school covers Pass Plus Essex, Maldon, Chelmsford, Braintree, Billericay, Mersea, Burnham on Crouch, Latchingdon, Wickford, Dovercourt, Clacton, Saffron Waldon, Shenfield, Southminster, South Woodham Ferrers, Ingatestone, Halstead, Harwich, Frinton, Walton, Tiptree, Witham, Danbury, Colchester, Brentwood, Basildon, Hutton, Dagenham, Romford , Bishop Stortford, Dunmow , Ipswich , Woodbridge , Harlow , Saffron Walden , Sudbury , Laindon, Maylandsea , Canvey Island , Benfleet, Manningtree. We offer student discounts, NHS staff discounts, block booking discounts and gift vouchers. StreetLife Driving School has a good reputation of passes. All our students are asked if they would like to feature on our website. Please feel free to take a look at recent passes. 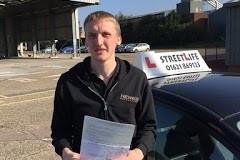 Due to increasing demand StreetLife Driving School is growing in size and we would always welcome new members to join our team and take our instructor training course and in return you will receive the best up to date training by our qualified trainers. If you have any questions or would like Karl to call you just click on the contact us link and we will be in touch.